Cats by nature are attracted to the soft loose soil in flower beds as to them it makes an excellent place to do their business. For us humans though, it is very upsetting to see your flower bed dug up with numerous hidden treasures (cat poops) buried throughout. Fortunately there are some strategies we can use in our flower beds and gardens to deter cats from leaving us those nasty little surprises. 1. After your perennials have come up in the spring and you have planted your annual flowers, buy a bag of bark mulch and spread it over all exposed soil, making sure to leave a small perimeter around each plant. Bark mulch comes in a variety of colors to suit your needs and it also suppresses weeds, bonus! Cats likely will find somewhere else to relieve themselves as the bark mulch is not pleasant to step on or dig around in. 3. 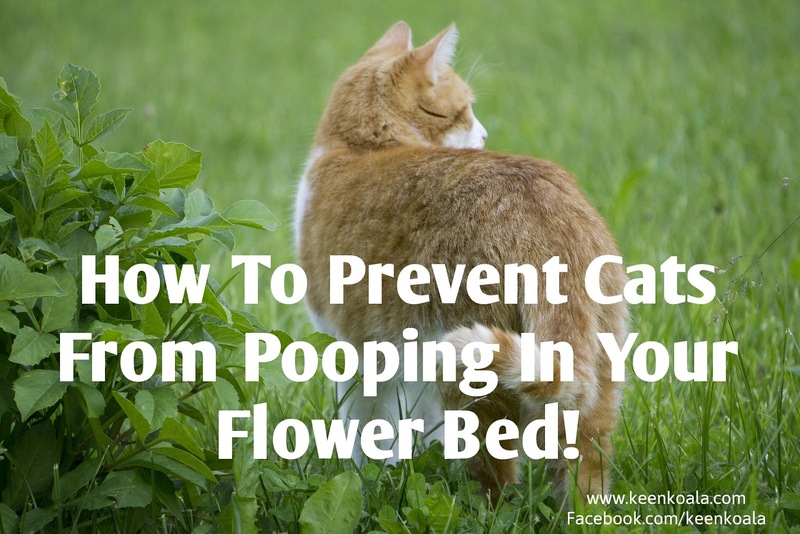 Plant a flower bed of plants that cats dislike. Cats detest lavender, coleus canina, pennyroyal, rye, and anything lemony, like lemon balm, lemongrass, citronella, and lemon thyme. 5. Sprinkle crushed egg shells over the soil. Crushed egg shells are unpleasant underfoot and cats likely will choose somewhere else less poky to go to the bathroom. I hope you found this helpful. LIKE us on Facebook and never miss a post by clicking HERE!